The number one way people find jobs is through networking. Learn how to strategize, who to contact, and how to reach the decision makers. Part 1: An introduction to career decision making, followed by a formal assessment activity. Part 2: A review of assessment results and how to use these results to do career research. Part 3: Researching careers and next steps; informational interviewing, networking, professional associations; and ways to delve deeper into examining the best career path for you! Darren Petronella earned his BA in Psychology from Binghamton University and an MS in Education, specializing in Counseling, from Hofstra University. He is currently a Career Counselor and Associate Professor at Nassau Community College. 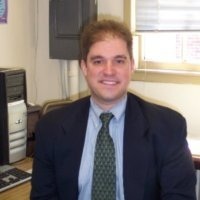 He is also an adjunct professor and online course developer in Psychology/General Education at Adelphi University.